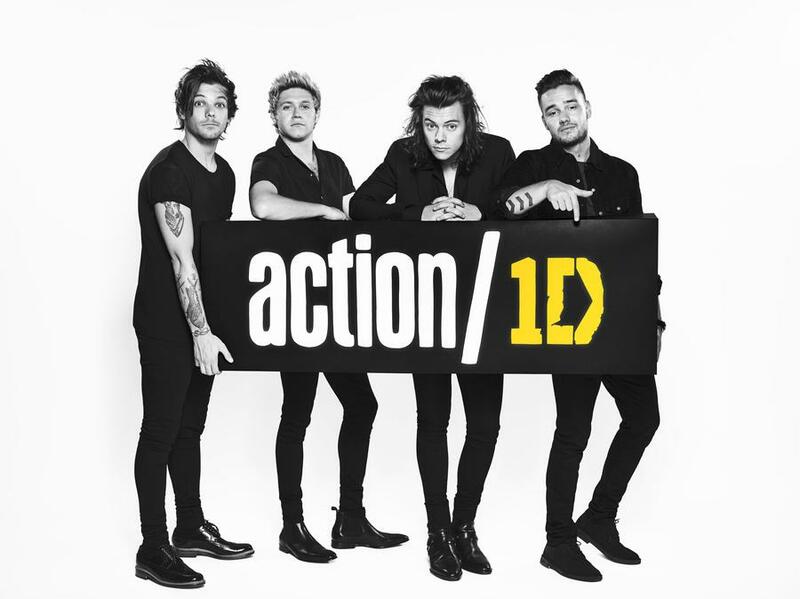 Yesterday, One Direction released a new video announcing their new campaign, #Action1D, which encourages their fans to let them know what kind of causes are important to them, and what charities should get extra attention. Action1D will consist of a collective group of organizations around the world that focus on change in poverty, climate change, and inequality around the world. 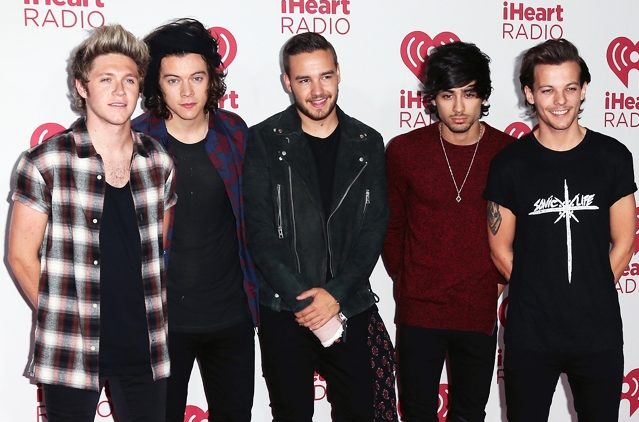 Above: July 8th 2015: One Direction launch their global campaign action/1D. “In 2015 we have a once-in-a-generation opportunity to change the world for the better. The decisions they make could mean no baby dies from a disease that could have been treated or prevented, every child gets the chance to go to school, that no one has to go hungry again, and we do more to tackle the dangers of climate change,” 1D writes on their official page. I think that this is a great initiative for the band, as we know that One Direction has one of the most dedicated fan bases known to man. If the fans rally together for a common cause and pour their energy into it, they will surely achieve great things. The discussion also ties in to two world summits that will take place in New York and Paris with world leaders, who can make a difference. Bono, Ben Affleck and more are also calling out for people to raise awareness. One Direction is moving in an eager and enthusiastic new direction, and I am excited to see the work that they accomplish with the help of their amazing fans! New Direction For One Direction; Up… In Smoke! Okay, maybe not exactly, but certain members of the popular British boy-band are apparently stoked (and toked) about filming their road trip “high”- jinks with their newest member, Mary Jane. Check out the full video below. The video, which surfaced on Tuesday (May 27), shows band members Zayn Malik and Louis Tomlinson apparently smoking marijuana and joking about it as police officers drive alongside their motorcade during the Latin America leg of their 2014 Stadium Tour. The footage is a serious blow to the clean-cut image the band once projected to both their teenage fans and their parents. Of course, the mainstream press likes to throw out words like “allegedly,” but I think we all know what’s going on here as band member, and de facto narrator, Louis Tomlinson gives us a play-by-play of the festivities. “Here we are, leaving Peru. Joint lit. Happy Days!” Thanks for the color commentary, Louis. In June of 2009 the world lost arguably the most popular and beloved pop-music artist of all time… or so we thought. Apparently, death ain’t got $@%# on Michael Jackson or the proliferation of true talent as the “King of Pop” prepares to release his second full album from beyond the grave! Xscape is due for release on May 13, 2014 and includes eight previously unreleased tracks for which Michael had completed vocals before his death. In a collaboration between top producers such as Timberland and Rodney Jerkins, the tracks have been “contemporized” and prepared for release in the modern market. But why wait?! Check out MJ’s highly anticipated collaboration with Justin Timberlake, “Love Never Felt So Good,” right here! Jackson accomplished a lot of firsts in his career. He was the first black artist ever to have a music video aired on MTV, the first person to sell more than a million downloads in a single week, and the first to surpass 1 billion (yes, billion) online video views. While he may not be the first artist to release albums posthumously, could he be the first to become even more popular after his death? According to a Huffington Post article from 2013, indications may lean in that direction. His name is still one of the most popular searched for, beating out the likes of One Direction, Nike, and even Barack Obama. In 2012, three years after his death, he gained 500k Twitter followers. His Youtube channel gets 780,000 views per day. Say what you will about life after death, Michael Jackson is proving that immortality is much more than just fantasy. Be sure to check out our huge selection of Michael Jackson karaoke tracks on KaraokeOnVEVO, Karaoke Cloud, and Sing-N-Share and pay tribute to the king in your own way. It happens! You try your best to be “the cool dad,” only to find that the Universe may have a sense of humor, but your wife (and the fire department)… not so much. NBC’s TODAY host Willie Geist found this out the hard way over the weekend as his attempts to turn his kid’s karaoke party into a special effect spectacular went up in smoke! According to Geist, his kids love to come together and have fun singing One Direction karaoke. In an effort to surprise his kids and make things a little crazy, Geist decided to bring home a fog machine. Ah, the best laid plans of mice and men. “I brought it home and my wife Christina’s like ‘What,'” he recalled Monday morning on TODAY. His response? “Trust me, it’s going to be great.” Oh, Willie. Willie, Willie, Willie. After turning on the fog machine (and a strobe light for extra effect), the house began to fill with fog as planned. The problem: apparently smoke detectors can’t tell the difference between fog and smoke. To make matters worse, in his attempt to turn off the blaring fire alarm Willie accidently hit the carbon monoxide detector. All of this while receiving “the look” from his wife. After the fire department and a state trooper had been officially invited to the party, Willie felt that he had learned a lesson. “We’re not going to have anymore fog machines,” he stated. Probably for the best there, Will. Though, in my opinion, you should have asked the firemen and the cop to belt out a tune or two for their efforts. January 8th marked the 40th anniversary of the People’s Choice Awards and what a night it was! Many forms of media and entertainment are honored on this night, but we, of course, want to draw special attention to the music industry aspect. Lots of categories and lots of winners so let’s get started! One of the biggest winners of the night was Mr. Justin Timberlake. The triple-threat earned three wins in three separate categories — Favorite Album (The 20/20 Experience), Favorite R&B Artist, and Favorite Male Artist. Katy Perry also earned a lion’s share of awards, doubling up with wins for Favorite Music Video (Roar) and Favorite Song (Roar). Successful comebacks are few and far between, but don’t tell that to the members of Fall Out Boy. Reuniting in 2013 after an extended “hiatus,” the 2000’s punk-pop icons released a new album (Save Rock and Roll) and earned the 2014 People’s Choice Award for Favorite Alternative Band. Since their formation in 2010, One Direction has been headed in only… well, one direction; up! Continuing their gangbusters-like journey, the British boy band kicked off 2014 with a win in the Favorite Band category, beating out the likes of Maroon 5 and Paramore. Social media is heralding the resurgence of the independent artist and, in my opinion, it’s a beautiful thing. One duo of said independents is Macklemore & Ryan Lewis. They’ve been blowing up the charts and now they start the new year with a huge win, garnering the award for Favorite Hip-Hop Artist in a category that included industry giants Jay Z, Kanye West, Drake, and Lil Wayne. There’s almost nothing more to say about Taylor Swift that hasn’t already been said in a blog, news story, or the diary of every 13 year-old girl who dreams of being a singer/song-wirter. I mean, did anyone doubt that she would win this year’s award for Favorite Country Artist? If you did I would strongly advise against taking any trips to Vegas anytime soon. Ever feel like you’ve accidentally stepped into a time machine? I don’t remember driving off in a DeLorean this morning, but it sure feels like the early 2000’s with artists like Justin Timberlake and Fall Out Boy taking home the honors at this year’s PCA’s. Now, adding to the deja vu, we present the winner of this year’s Favorite Pop Artist award, Britney Spears! After break-downs and some much needed time off she has definitely worked her way back to the top of the pop world. You know you’re off to a great new year when you edge out artists like Pink, Katy Perry, and Britney Spears. That’s exactly what Demi Lovato did to win this year’s award for Favorite Female Artist.